There are different types of treatments found in methadone rehab centers. 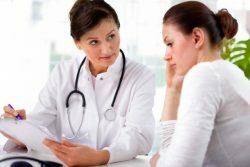 Some centers offer outpatient or inpatient settings, some offer short or long term detox options, and some offer more comprehensive care with methadone maintenance. It’s always best to do you research beforehand, deciding what your goals for treatment are, and exploring the options best suited to your needs. Even if you are unsure of whether or not you wish to use methadone therapies, methadone rehab centers are able to offer the most effective programs to help you overcome your dependence on opioids. We can help you find methadone rehab. Call 800-530-0431 toll free today. Medically supervised withdrawal using methadone – involves the use of methadone while eliminating the dependence to short acting opioids such as prescription painkillers or heroin. A pre-designated time may be established by you and the clinician on your methadone use to alleviate the painful and unpleasant symptoms of cravings and withdrawals from opioids with a gradual tapering off of the methadone over a few days or weeks. Methadone detox – is basically the same as the methadone withdrawals with the time periods being extended up to 6 months. During this time you can avail yourself of the counseling and other treatment options available through the methadone rehab center increasing your chance of abstinence from other opioids once the program is terminated. Methadone maintenance – is a longer term option that can be used indefinitely. According to the Substance Abuse and Mental Health Services Administration, “people with opioid addictions and their families experience severe reductions in their quality of life.” Methadone used in methadone maintenance programs is not meant to be a substitution drug for other opioids, but, rather a corrective medication to be used in combination with comprehensive services including psychosocial counseling, medical services, treatment for co-existing disorders, and vocational rehabilitation that promotes treatment retention and improves overall health and social functioning. Many people switch to methadone maintenance within days of their initial detox options to take advantage of the time and programs they need to resolve the numerous consequences of their opioid dependence. Detox from Methadone – like other opioids, methadone withdrawals can be painful and a gradual tapering off of the medication is recommended. However, for one reason or another, this doesn’t always happen. The person who needs help detoxing from the methadone can find it in the methadone rehab centers where knowledgeable clinicians and professionals can get them back on track in their recovery. Individual, group, and family counseling are types of treatment in methadone rehab centers that should always be a part of the curriculum. You may not know your treatment goals, immediately, and the only thing on your mind is relief from the cravings and withdrawals, but, the counselor can help you figures these things out as you go. Individual counseling can help you “zero in” on the consequences of opioid use, define specific “triggers” to avoid, and be a significant source of guidance and support throughout the recovery steps. In a comprehensive management scenario, the relationship between a counselor and patient can mean all the difference in how successful the treatment outcomes will be. Group and family counseling are also encouraging types of treatment that provide support, education, and motivations for lifestyle changes to live drug-free, to overcome obstacles, and to gain the valuable support of others that no one in recovery should be without. Call 800-530-0431 to find methadone treatment today. Treatment centers help people overcome addiction through a variety of treatment methods. Helping to improve your social functioning, and live a healthy and satisfying life free from substance abuse involves addressing your unique issues and needs along with any short term or long term goals. Psychosocial services may involve agency referrals or assistance for family, financial, transportation, housing, child care, vocational, legal, and other possible treatment barriers. The initial screening can help to determine the levels of care and any specialized services you may need including screenings for communicable diseases such as HIV, hepatitis, or AIDS and infections. Medical assessments also help to determine other co-existing mental health or substance abuse issues and your ability to use methadone safely with ongoing assessments to make appropriate adjustments and interventions as needed. Methadone is the main type of pharmacological treatment in a methadone rehab center. It must be dispensed on a daily basis until the person is qualified and eligible by federal and state laws and the methadone rehab center policies for take home doses. This will ultimately be left up to the program administrators if all other conditions are met. Drug testing is necessary to be admitted into a methadone treatment program to determine levels of opioids in your system and will be a regular part of the programs to monitor for substance use, health and safety purposes, and adjustments to methadone doses afterwards. Call 800-530-0431 toll free for help finding methadone treatment today.